PHILADELPHIA (WPVI) -- One side effect of scoring 51 points in a game is the stadium running out of fireworks. 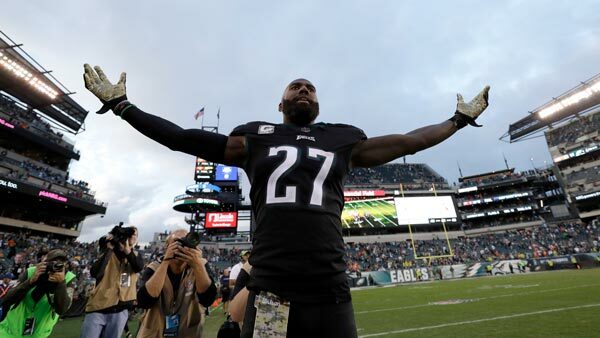 That is exactly what the Philadelphia Eagles experienced as they routed the Denver Broncos 51-23 Sunday. "Apologies, we actually ran out of fireworks at @LFFStadium. #FlyEaglesFly," the team account tweeted. Most Eagles fans, like City Representative Sheila Hess, had no problem accepting the team's apology. "That's OK. We hope you run out of fireworks at every game!" Hess tweeted. In response to the Eagles' situation, Philadelphia Fire Commissioner Adam Thiel added, "These are the ONLY kind of fireworks we like @PhillyFireDept! Please keep the celebrations safe @Eagles fans! #fireiseveryonesfight." The 8-1 Eagles now go into a bye week. Their next home game is in three weeks - plenty of time for the Linc to restock the fireworks.